Founded in memory of ‘Britain’s greatest general’, Arthur, Duke of Wellington, Wellington College has always had a strong military connection. When the First World War broke out in August 1914, around 2400 Old Wellingtonians were already serving in Britain’s armed forces, and a further 408 joined up in the first five months of the War alone. Hundreds more followed them and throughout the War, the College faithfully recorded the details of those serving, wounded and killed. 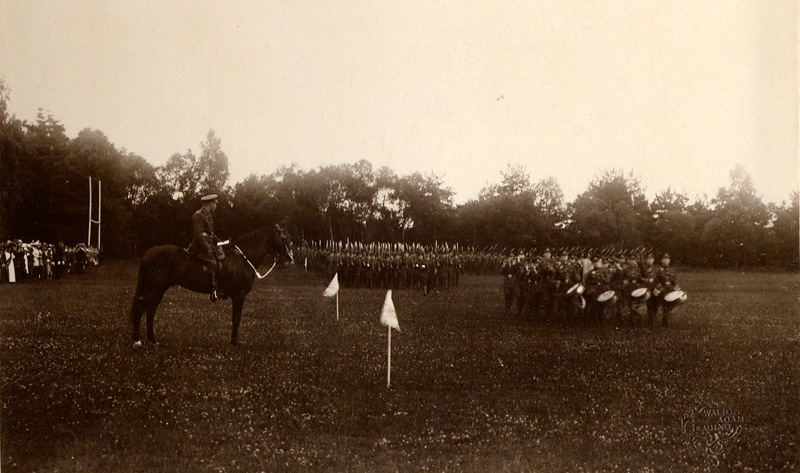 Members of Wellington College Rifle Corps being inspected on their summer camp at Tidworth, 1909. In total over 700 former pupils and staff are known to have died, and are remembered on our Roll of Honour and on various memorials around the College. This site is dedicated to their memory. Here, you can find out about each individual, and see their original entry in the Rolls of Honour printed in the College Year Books. You can also browse original documents which show how Wellingtonians fought, how College life continued during the War, and how those who died were commemorated afterwards. We will continue to add information and documents to this website as we carry out further research during 2018 and onwards. 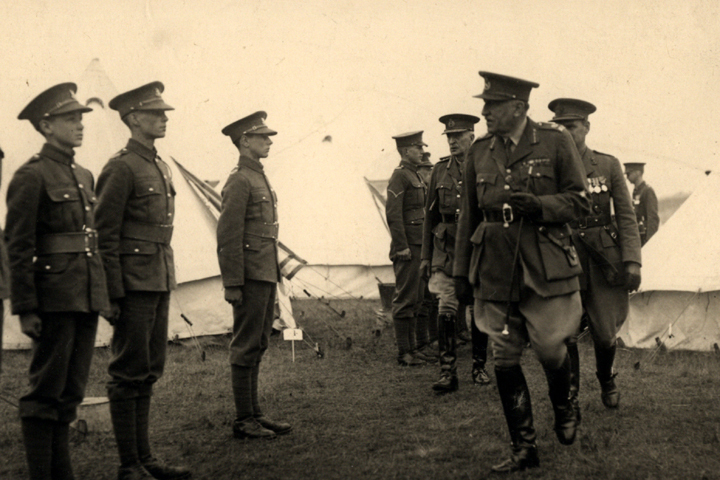 The images on this page are of Wellington pupils on the Officer Training Corps summer camp, 1909. The vast majority of these pupils would have been involved in the War five years later.